Having reviewed Youth a few weeks ago, I had high hopes for this gig. Daughter did not disappoint. 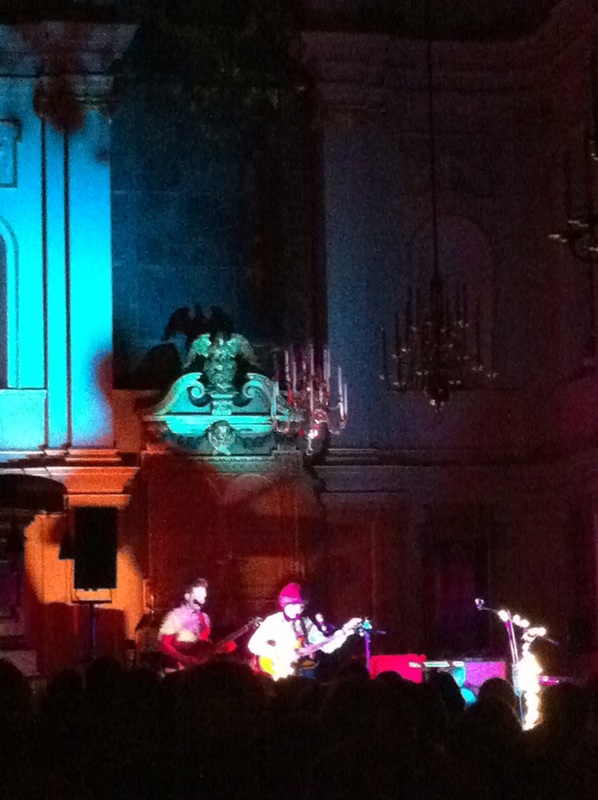 St Giles-in-the-Fields proved to be the perfect venue for Daughter's ambient pop: dramatic and dimly lit, Christmas tree glinting in the corner and fairy lights sparkling and twisting along mic stands. The coupling of venue and music gave the evening a sort of spiritual feel, the audience sinking into reverence. Daughter's sound centres on front woman Elena Tonra - her breathy, delicate vocals and open-hearted lyrics. Youth's "And if you're in love you are the lucky one / 'cause most of us are bitter over someone" is enough to secure that lump in your throat every time. Heavily reverbed guitars dominate and each note echoed around the church with magical effect. The band members deftly switched between electric, acoustic and bass guitars, sometimes played with a violin bow (reminiscent of Sigur Ros). 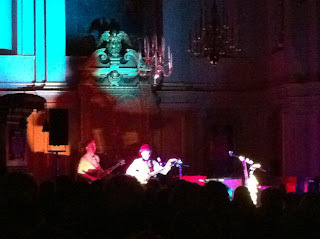 The overall sound was moody and atmospheric, each song just as beautiful as the last. What also stood out was the dynamic range: from guitar strings plucked tenderly to thick chords strummed with emotive force, each song a crescendo to a cacophony of liquid guitars and thumping drums. Youth was an obvious highlight, as was Love's heartfelt lyrics - both tracks available on current EP 'Wild Youth'. The set also comprised songs from their previous EP 'His Young Heart' - Landfill and acoustic track The Woods were particularly captivating. The final song featured a totally reimagined version of Hot Chip's Ready for the Floor that stunned the attentive audience, their ears lingering on each reverberation of the final chord, daring each other to start the applause first. The set was spellbinding - if you get the opportunity to see this band live you'd be a fool to miss out. Listen: Both EPs 'The Wild Youth' and 'His Young Heart' are out now. Listen here or on iTunes. Watch: Daughter continue to tour in the new year. Londoners can catch them at the Islington Assembly Hall on April 12th.